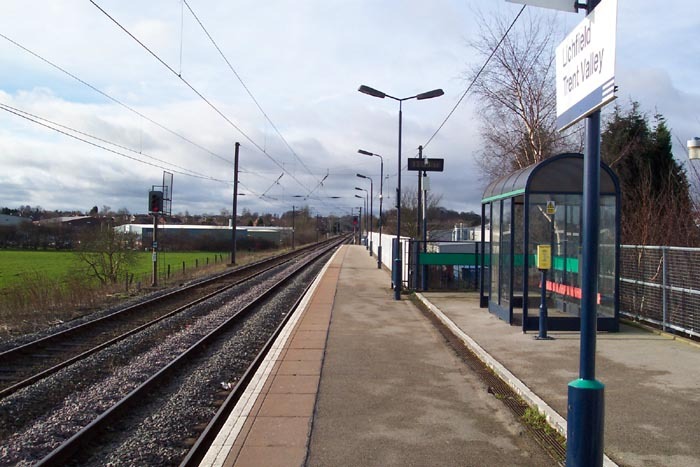 Lichfield Trent Valley is in effect two stations with differing opening dates. 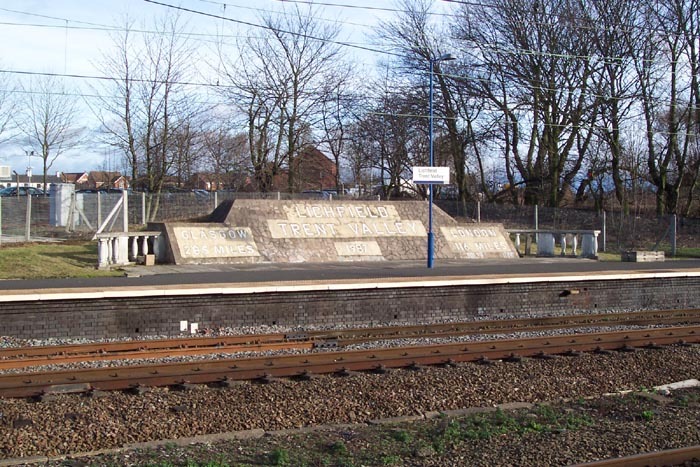 The low-level station was opened in 1847 by the LNWR on their Trent Valley line (having absorbed the creator of the scheme - the Trent Valley Railway the previous year). 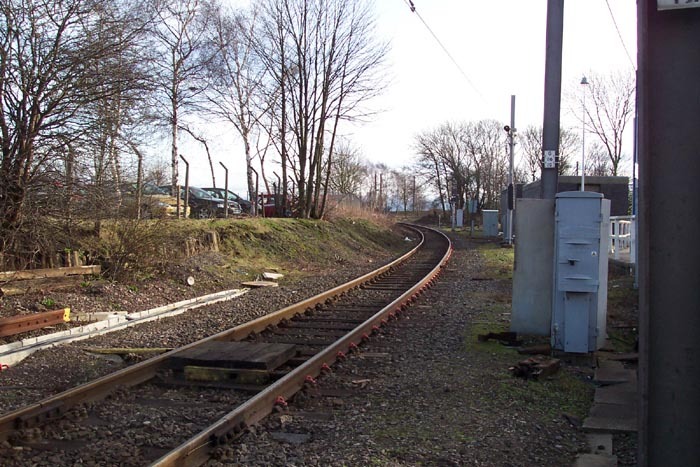 The high level line was originally of South Staffordshire Railway origin opening in 1849 but that too came under the auspices of the LNWR as their South Staffordshire line. 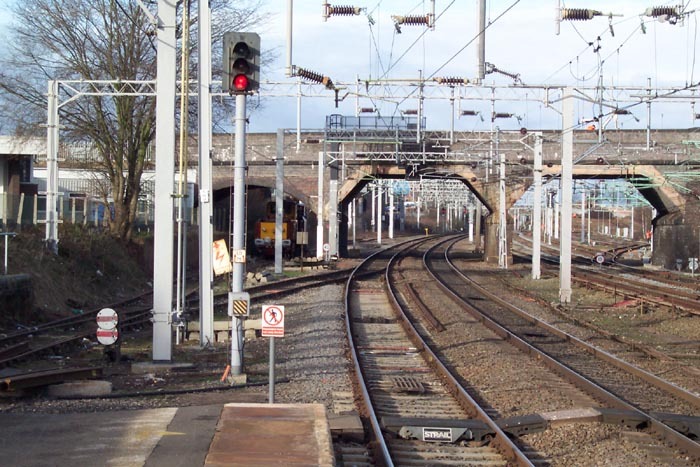 To further compound the complexities of the station(s), in 1871 both low and high level stations were replaced in 'slightly' differing positions to their predecessors! Both lines were successful and enjoyed flourishing goods and passenger traffic. High level served the Birmingham - Burton-on-Trent route whilst low level served the busy Euston to the North and Scotland routes. However, high level succumbed to closure in 1965 when services to Burton via Sutton Coldfield were withdrawn. 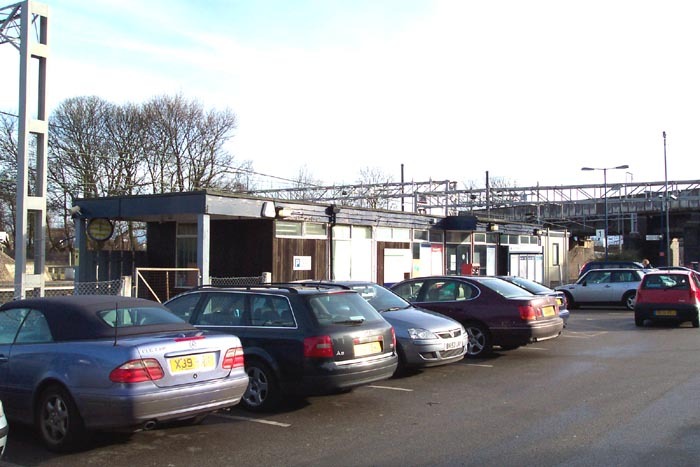 The station stayed closed until the extension of the Cross City line in 1988 (originally the Cross-City had operated between Longbridge and Four Oaks thus keeping within the West Midlands Passenger Transport Executive's region and funding) saw it reopen in a much reduced single-platform format. 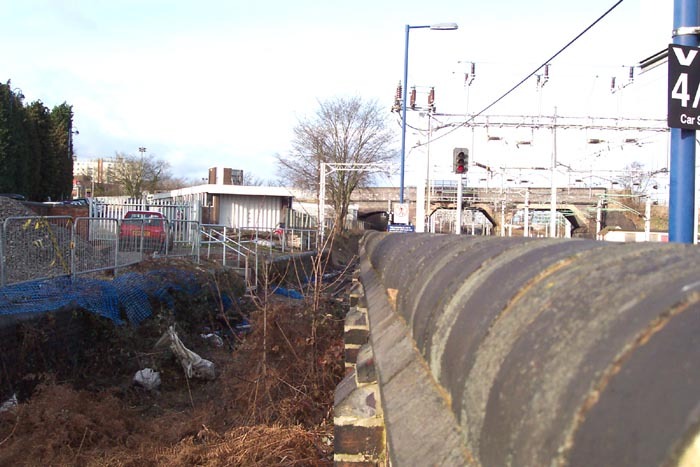 Above we see what a devastated site remains today: although still open, this view along the entrance driveway from Burton Road is a radical departure from pre-electrification days. 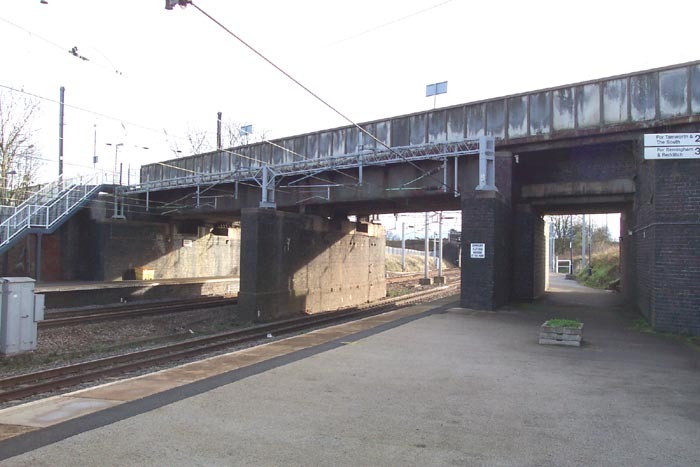 Above-left we are looking along the platforms towards Trent Valley and above-right towards Shenstone - note the ornate canopy ironwork. 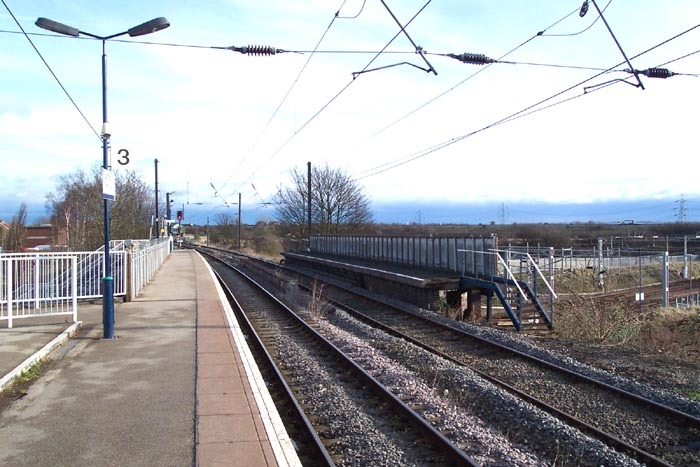 Above-left we are still standing on the down platform but this time looking to our right where the high level line crosses the Trent Valley route. 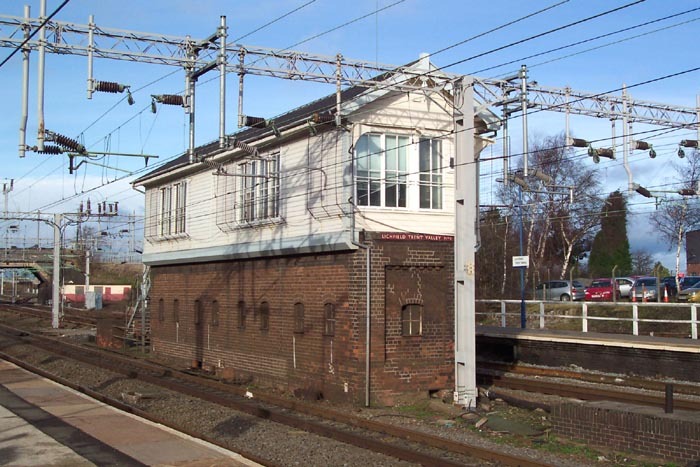 Above-right we have climbed the stairs (now open to the elements but originally enclosed) to the somewhat windswept platform 3 from where two trains an hour arrive/depart for Birmingham New St and either Longbridge or Redditch to the southern end of the Cross City route. 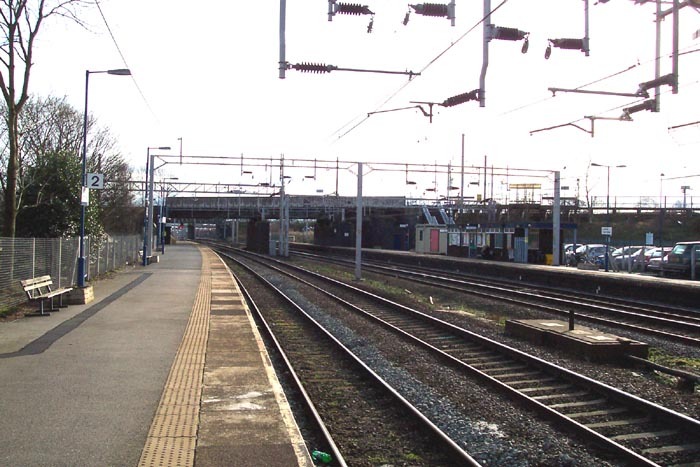 To the left of the tracks in this view once stood a large single-storey station building on the Birmingham platform and canopies provide shelter the length of the then two platforms. Above-left we are still on platform 3 but this time looking in the opposite direction to the previous shot towards Burton-on-Trent: as we can see to our right, not much remains today of the original Birmingham platform! 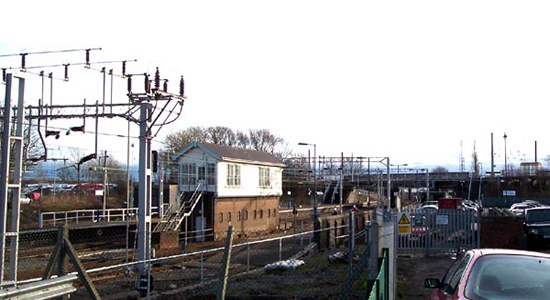 Above-right we have walked along platform 3 in the direction of Burton and can see Trent Valley Junction signal box lying ahead and just to the left of it, a branch-off from the main line. 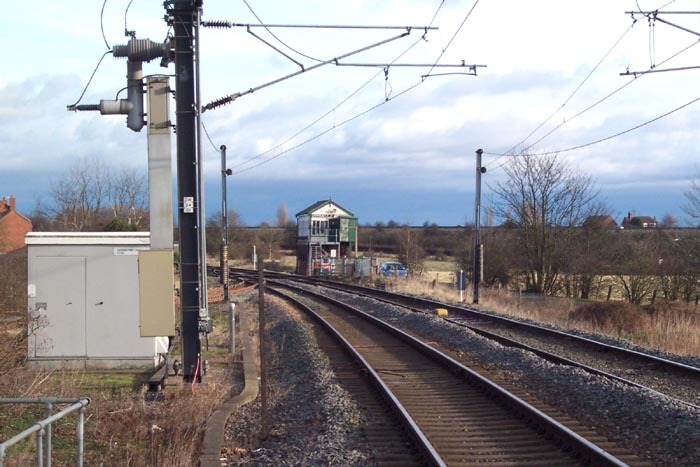 The signal box marks the spot where high level is rail connected to low level via what is now a very seldom-used single track (originally double). 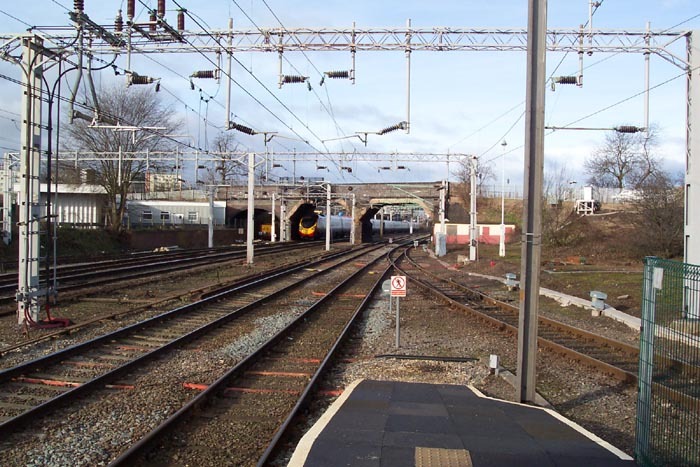 Above-left we have stepped down from high level and are back on platform 1 looking north with the Burton Road bridge ahead. To our left are the remains of a short goods bay platform nowadays alas missing both its track and overhead wagon loading gauge. Above-left we are in roughly the same position with the goods bay to our left-rear: the area to the left shows what formed the spur to the goods bay and to the left of that was an area once occupied by a siding and buffer stop. Above-left we are standing on the down platform (platform 2) looking north. This shot is interesting for two reasons: firstly, to our right we can see where the line from high level joins the low level tracks and secondly, just before the road bridge - to the right - are the now disused huts once host to the drivers and crew of the three shunters that were based at the station for goods duties (significant goods workings were undertaken at the station - the area off camera to the right of the shot contained goods facilities and sidings). Above-right we are at the end of the southbound platform looking back up the connecting line to high level. Above-left we get a perspective of the whole station from the end of platform 2: not a particularly impressive sight although the station(s) still hold some points of interest. Above-right was one of those points of interest: signal box No1. This was a splendid structure and in excellent condition - but unfortunately was decommissioned and demolished in 2008. The station is well-worth a look around even though it has lost most of its character in its sidings and buildings (in the case of the latter, a severe fire on high level significantly reduced the structures at the site being as, apart from the platform building itself, the canopies and assorted waiting structures were of wooden build).